It’s turned out to be quite the big night of new game releases. This morning there was hardly anything noteworthy floating around in the New Zealand App Store, but as has been the case lately, lots of stuff popped up throughout the day at random times. Hey, whatever, App Store! There’s also some stuff that launched earlier in the week which I’ve included below, and a few things that are supposed to come out soon but haven’t quite shown up yet. So check out the list below and let us know which games you’ll be picking up! Some binturongs dream of racing. Now those dreams can come true! Run, Jump, and Roll your way to the best times while you explore worlds of unique tracks and challenges. Its time for the epic conclusion to Cally’s battle with the Nefarious Herbert! Cally’s parents have been kidnapped again, as Herbert tries to take control of the Caves to perform his evil experiments. Join Cally in this action-packed run and gun platformer, conquering insane bosses, exploring to find secrets, and levelling up EVERYTHING. Use your weapons to level them up and evolve them into their ultimate forms! Unlock new character abilities like the Triple Jump, Dodge Roll and Water Wings. Use a new playable character, Bera to unleash crazy ninja moves and solve puzzles. Most importantly, battle to rescue your parents from Herbert’s clutches, and bring an end to Herbert’s experiments for good! Walk on the path as fast as you can, and earn one point for each step you do. Collect gems and unlock new characters! ◉ Tap right to walk. ◉ Tap left to jump the stairs. Be careful to make the right move! Are you ready for some arcade fun? 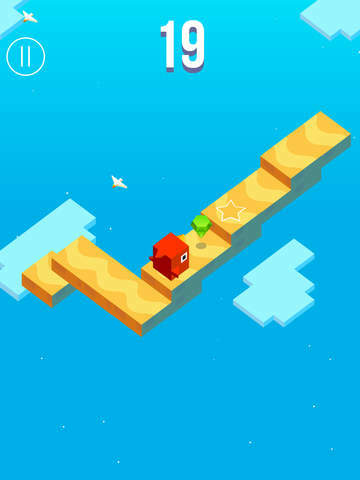 Cublast is an all new agility game for your phone! It’s features tilt and touch controls in multiple challenging stages! 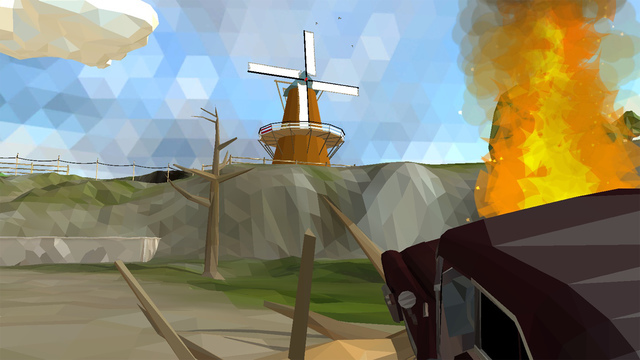 Cublast is made by two Dutch students who both share a passion for making games. We put a lot of time and love in our game and we will continue to further improve / add content! Please help us out and submit us all your feedback, with your help we can make Cublast as good/fun as possible. Have fun playing and blast some cubes! Only your deadly fingers stand between you and death. Enter the Diabolical Dojo and defeat wave after wave of axe wielding thugs in this Endless Kung-Fu brawler from the makers of CounterSpy. 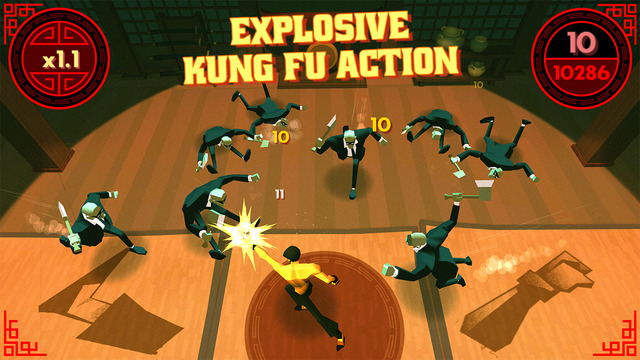 EXPLOSIVE KUNG-FU – Defeat waves upon waves of Axe Wielding thugs, battling against escalating attack styles. SIMPLICITY IN ACTION – Intuitive 2 tap controls…be like water my friend…. YOUR JOURNEY IS THE REWARD – Make your way through multiple gorgeous dojos, try not to harm the civilians. FRIENDS ARE THE BEST RIVALS – Beat your GAMECENTER friends scores in the in-game leaderboard by mastering the punch combo system. Colorful and huggable, the Fuzzies invite you to join their exciting puzzle quest to make everybody happy! Tap on the multi-hued cubes and create amazing color combinations to reach the next gorgeous level. Enjoy a huge variety of puzzle modes and challenges, all with simple tap controls. As struggling author and bookstore owner Gabriel Knight, investigate a series of savage ritual killings in New Orleans and their connection to voodoo’s sinister mysteries. The deeper he dives into master storyteller Jane Jensen’s tale of terror and suspense, the closer he’ll come to discovering the secrets of his own family history–and unfolding his destiny. Guardian Sword is a strategy puzzle RPG, full of classic RPG charm that you rarely see in the genre these days. Guardian Sword Highlight is the unique gameplay that allows the players to customize the puzzles by themselves. You can choose from 40 Tiles with different abilities which means you can devise your own strategy in various ways and limitless. If you are looking for a game that is all new and if you would like a simple yet very strategizing gameplay, you are looking for “Guardian Sword”. You’ll find yourself in a speeding time void deep in space, caught in a futuristic stronghold of mechanical tunnels. Enemy droid planes will be sent to intercept you, all you need to do is learn the tunnel layouts, navigate with speed and keep your hand on the fire button. Can you make it through each layout to the check points? Watch out for collapsing tunnels and enemy base fire, they’re not gonna let you get through easily, but who knows? All you need to do is know where they all are! Your 5 seconds are up..
Goal is to hit as many white dots on your way up. When you’re touching the screen, the dots have a surrounding gravity on. Use this as an advantage to get higher. The Long Siege is a real-time match-three puzzle game with RPG elements set inside an extraordinary atmosphere of music and visuals. The core mechanic centers on matching items in your own tower through a mixture of belt-type scrolling and single taps to command your army. It’s a fun-to-play strategic thinking challenge requiring you to plan ahead to summon the right units, level up, upgrade your defences and complete the quests to unlock special items. Commence an onslaught against unique enemies, including formidable leaders, and take their towers down one-by-one as you travel towards the dark side of the world! Hop into the engineer’s cab of a paper train, and travel through a cardboard world where toys come alive to race along a plotting board’s railway! Dodge oncoming trains, collect shiny coins, jump over dangerous obstacles and enjoy the speed of a runaway train! Test your runner skills, while visiting various railways resembling a child’s toyroom. Full of colors, action and randomness, every run offers something new to see. Choose between multiple railways, navigate through cram-full train stations, vast deserts, tight caves, and unlock funny figures or trains which populates the frisky toyworld. With a swipe of a finger, grow and shape your tree into the sunlight while avoiding the dangers of a hostile world. Bring life to a forgotten landscape, and uncover a story hidden deep beneath the soil. Puzzle Wizard is a very difficult, color-themed puzzle game designed for serious puzzle fans who love to be challenged. In Puzzle Wizard the player’s movement is restricted to a single color at any point in time. Players must find a path to the key where none appears to exist. Each of the 12 levels introduce a new puzzle mechanic, resulting in a continually expanding range of possibilities for the player to consider. All puzzles are logically designed and solved. The extreme difficulty of Puzzle Wizard emerges naturally from the domain. Q*bert Classic stays true to the original in all its jagged 2D pixel art glory, now optimized for touch screen control. 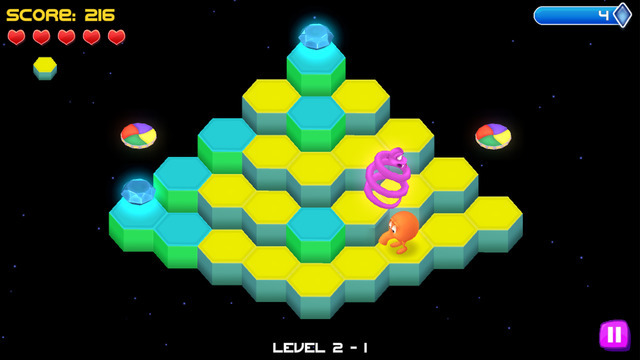 As the title character, players jump around an isometric cube pyramid and convert each blockís color while avoiding familiar adversaries Coily, Ugg, Slick, Sam, Wrong Way and Red Ball. 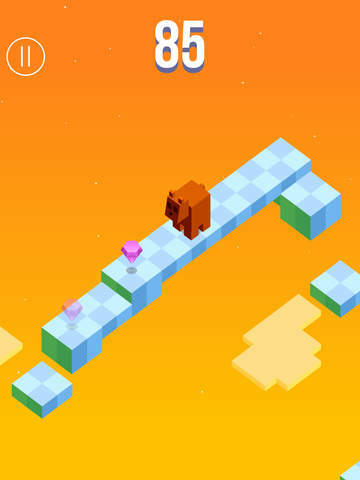 Levels become progressively harder with more enemies blocking your path and the tiles requiring multiple jumps to change to the required color. Q*bert Rebooted takes the arcade classic and catapults it into the 21st century with 3D game play yet remains faithful to the original. Featuring hexagonal blocks instead of squares, Q*bert Rebooted introduces new enemies, playable characters, power-ups, traps, gem collecting and characters, and new ways to play. Behind the walls of our very own Shawshank, lies a tale of injustice. Our inmates need you to help them defy the odds and make their great escape to freedom, before it’s too late. Run The Joint is the most addictive double character runner game on the App Store today. With intuitive tap to jump gameplay, collect the coins and special treats along the way and unlock new characters and explore different levels to see where your route to freedom will lead. How far can you get before the long arm of the law tightens its grip? STO brings the most intense, tactical-action experience to iOS through killer gameplay, streamlined controls and carefully crafted maps. Select your custom loadout, plan out strategies and accomplish your objectives. – 3 Wild Weapons: the Trusty Shotgun, Fiery Flare Gun, and Grannie’s Homemade RPG Launcher! – 100 Brain-Bustin’ Levels – And More to Come! – Play With Your Friends and Save to the Cloud! Classic retro platformer game that will bring you back to your childhood! Explore the legendary world looking for the key and the door riding Shopping cart, Balloon and a Witch’s broom! Hilarious stages will keep coming! Pole vaulting has never been so fun! Cascading cliffs, huge bouncy springs and those infuriating red balls! How far can you go? How long will you last? Can you get the highest score? Classic intuitive physics arcade action with easy to use, hard to master tap and hold controls, mean that things aren’t as simple as they seem. Goal is to hit as many white dots on your way up as you can.